A number of teachers from various institute had been invited initiating on 29 January Dr. Devendra Kumar Dewedi, Assistant Professor from Subhash Degree College presented a lecture on “Theories of Intelligence and its educational implication” the second lecture same day was taken by Dr. Mohd. Irshad Hussain, Assistant Professor from Haleem Muslim Degree College Kanpur, on next day 30 January 2018 presented a lecture on “Arvindo’s Sarmaang Yoga Daushan” was presented by Dr. Ratnarthu Mishra from DBS P.G. 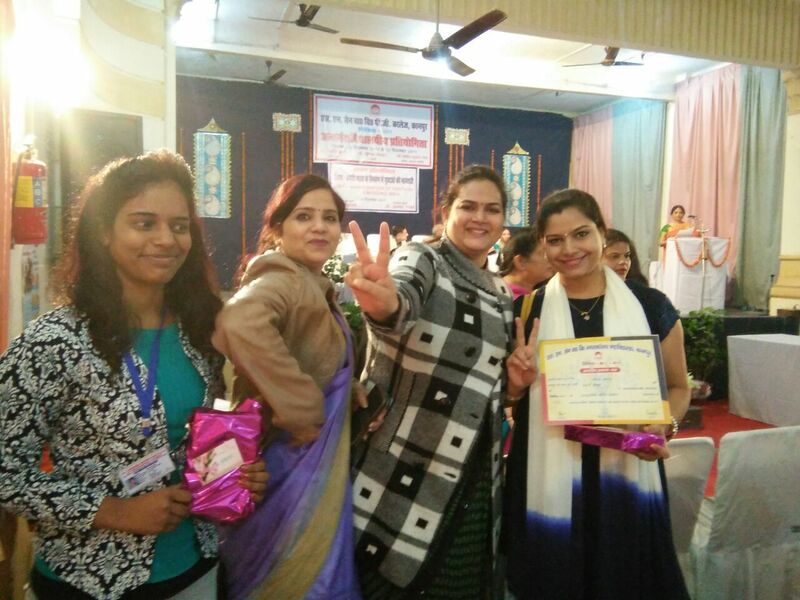 College Kanpur, while the second lecture was presented by Dr. Pratima Shukla from Mahila Mahavidyalaya P.G. College on “Importance of phonetics in English Speaking”, on third last ending lecture was taken by Dr. Anshuman Mishra on “Models of Curriculum Development”. Celebration of Sadbhavna Diwas on dated 20.08.2016 on 'Sadbhavna Diwas' programme was organized by pupil teachers and faculty members of Dr. Virendra Swarup Institute of Computer Studies. Celebration of Tiranga Diwas on dated 22.08.2016 'Tiranga Diwas'celebration was done by pupil teachers of Dr. Virendra Swarup Institute of Coputer Studies.The main objective of this programme was to make aware to pupil teachers about the pride and importance of National Flag which is the symbol of independence and freedom. Problem Solving Workshop on dated 22.4.2015, a problem solving workshop was organized to quench the curiosities of pupil teachers and for their intrinsic development because until the pupil teachers find the answers of questions arising in their minds, They can not prove themselves as an effective teacher or a useful citizen of the society. On receiving the exact answers of these minute questions and to seek the valuable suggestions of counsellor.and the pupil teachers were very happy and prepared themselves to prove themselves as a useful citizen of the society. On dated 24.03.2015 a awareness rally on ‘clean india healthy india’ was organised to aware the community by our prime ministre Narendra modi ji’s mission to keep our surroundings neat and clean . beside this tree plantation programme was also organised by our students they planted a number of plantes in surronding areas and made aware the people by various banners, slogen, posters on various issues. In the hounour of pupil techers of session 2008-09,2010-11,2011-12,2012-13 and 2013-14, an alumni programme was organized on 03.03.2015 in the seminar hall on Dr. Virendra Swarup Institute of Professional Studies, K-Block, Kidwai Nagar Kanpur. The aim of celebrating this programme was not only to honour the students of past five sessions for their honourable work but also motivate the present pupil trs to reach new dimensions day by day. Programme was inaugurated by our Principal Dr. Poonam Madan and honourable guests Dr. S.K. Sexena, Founder of V.S.I.P.S & Retd. HOD of DBS collage, Dr. Kamlesh Yadav- HOD B.Ed Shivlok Mahila Degree Collage and chief patron of self finance assocition of C.S.J.M. University, Dr. Santosh Shukla- Retd. Professor (B.Ed A.N.D.N.M.M College and retd HOD & principal Harshay Degree college, Dr. Mukesh Srivastava- Principal A.S.S Collage. Guest lecture on 19.02.2015 a series of Guest lecture has been organized for B.Ed. deptt. of Dr. VSIPS in which eminent educationsists of the field of teacher Education are invited to provide knowledge expertise to our pupil teachers Dr. Ratanarthu Mishra of D.B.S. (P.G.) college, Dr. Neetu Agnihotri form B.B.M. (P.G.) College, Dr. Geetanjali Maurya form D.G. (P.G.) and Dr. Suneel Upadhyaya from D.B.S. College were invited to share their Expert knowledge related to this topixs. This series of lecture was praised by our students and lelped them a lot to broader their knowledge. Personality development classes run by british counceil of english werw hald to enhance the teaching competence level of students by this programme our pupil teachers got a good guidnece for facing the interview competently and to make their resume in an effcctive manner too. The student also got knowledge of functional grammar, group discussions , mock interview, personal interviews , speaking standerd english also. These were appreiated by our students and helped them to be selected in reputed schools by getting their appointment letter too.